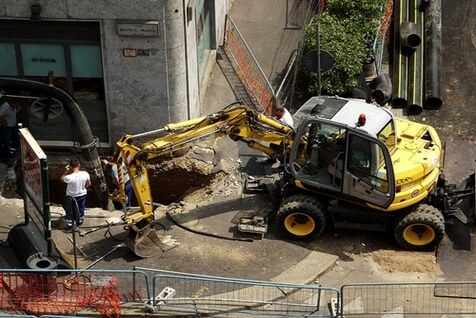 Accidents at work are common events, but they are also avoidable. Even the more serious events, like falling objects, are easily preventable, with the right measures and checklists – as well as due care and attention – significantly reducing injury in the workplace. Falling objects can seem funny when the object is a light cardboard box or some other relatively harmless object. But in many cases, the object causes injury to workers, and sometimes even fatalities. According to the latest Notified Fatalities Statistical Report from Safe Work Australia, the most common cause of fatality from July 1, 2010 to June 30, 2011 was ‘being hit by falling objects’, accounting for 26 of the 138 work-related deaths over the 12-month period. And according to statistics published by Safe Work Australia in July 2012, injuries caused by ‘hitting, being hit by or being cut by an object’ accounted for the highest percentage of injuries incurred by male labourers (34%), community and personal service workers (34%) and technicians and trades workers (41%), and the second highest for male machinery operators and drivers (21%). But these represent just a drop in the injury ocean, with figures showing more than 638,000 people experienced at least one work-related injury or illness for 12 months to June 2010. With construction sites having scaffolding, bricks and tools that can fall off work areas high up. Warehouses and yards can have over-crowded or unstable shelves from which items can fall. While offices can have shelves and storage units from which office supplies can fall. Preventing accidents at work is paramount to establishing a safe working environment, and there are plenty of things that can be done to achieve this. When it comes to lessening the risk of objects falling on staff, care and attention are the two main attributes that are required. But, through the relevant PCBU, checklists and measures should also be introduced to maintain safety standards. Below, we provide selected extracts from the Falling Objects Fact Sheet [381KB] which has been published by Safe Work Australia. You can find out more information by reading the complete fact sheet (click on link above), or by visiting the Safe Work Australia website. Further information and guidance on selecting appropriate control measures is available in the Code of Practice: How to Manage Work Health and Safety Risks [1.2MB]. Fall prevention must be considered and, so far as is reasonably practicable, implemented before considering options for arresting the fall of objects. Control measures that can assist in protecting persons from falling objects are suggested below. Loading pallets correctly to ensure load stability – banding, shrink or stretch wrap can help with this. Using chutes when placing debris into a skip below a work area. Alsco’s Managed Training Service is a complete solution that will compel action within your business. Our Training Guarantee ensures you manage your training costs irrespective of staff turnover. Understanding our customer’s needs identified a need not only for training courses but the ability to manage and maintain the total compliancy of certifications, and aspects of legislation over and above just training. Talk to an Expert! Our representatives are waiting for your call.